Happy New Year! 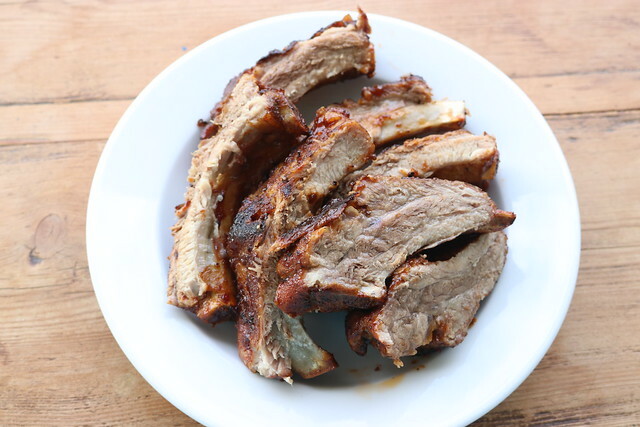 Let's make some ribs! 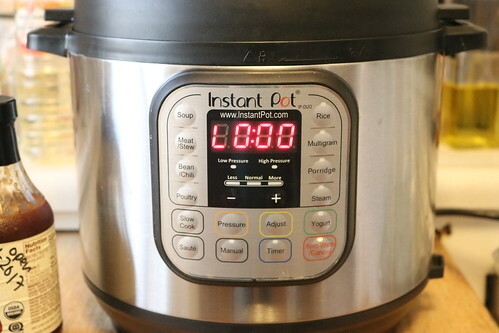 I love the Instant Pot Pressure Cooker! (I hope you got/bought one during their crazy black Friday sale). I bought it last year and have been trying out different meals. Most of the time I take a couple photos on Instagram stories, but today I used my new camera. Oh yes, I bought myself a new camera! Canon 80D...I'm still figuring things out and watching many YouTube videos. 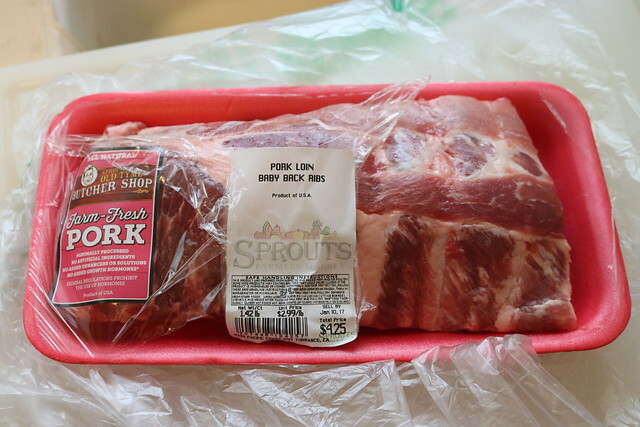 My local Sprouts Market had a sale on pork ribs so I picked up some baby back ribs ($2.99/pound, bought about 1.5 pounds) and when I brought it home, I googled Baby Back Ribs Pressure Cooker! NPR's The Salt had a piece from 2015 that I used as my guide. Seal the pressure cooker and set for 30 minutes high pressure. 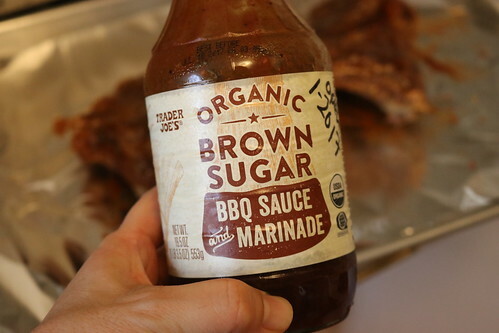 I used bottled BBQ sauce from Trader Joe's. 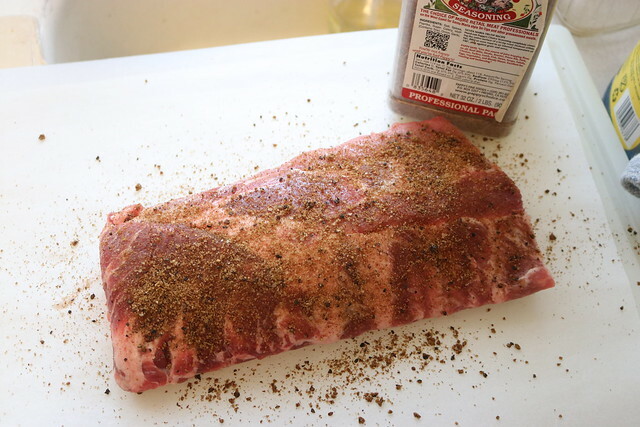 About 15 minutes before the ribs are done, preheat the oven to 450 degrees. Line a sheet tray with foil. 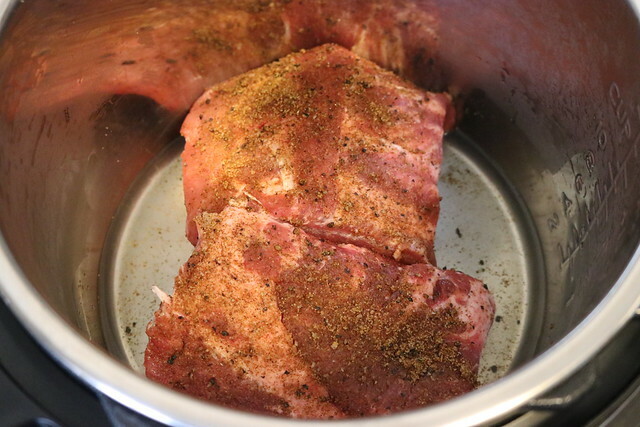 After cooking is complete, quick release the steam (you can let it go naturally, but I was hungry) and remove the ribs. 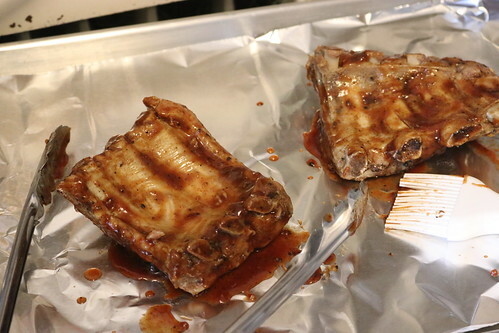 Brush on BBQ sauce and bake for 8-10 minutes, turning once. 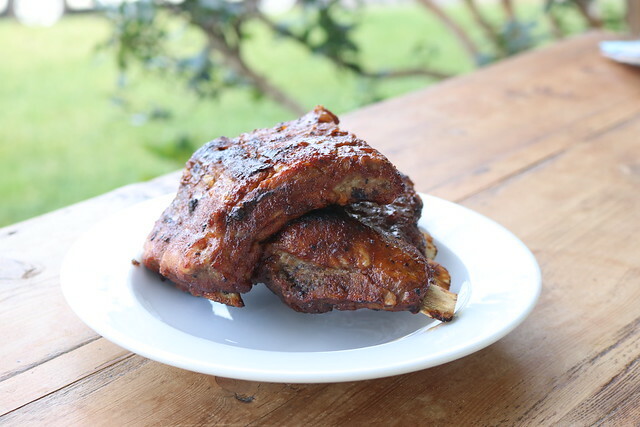 Watch your smoke alarm because it's a super hot oven and the sweet BBQ will burn a bit. 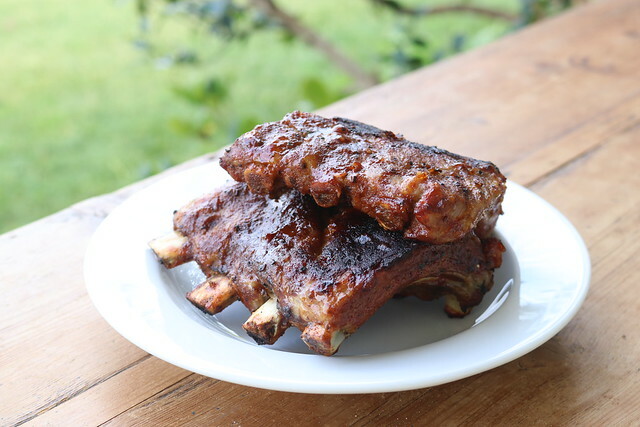 Next time I'll add more BBQ sauce and maybe even make my own sauce but they were tasty and super fast to make in the pressure cooker (and oven). Note: Some of the link are affiliate links with Amazon. That means if you buy something, I get a few cents. All opinions are my own. And I love the pressure cooker. Love your posts, stopped visiting only because your posts became few and far in between. I'm on the fence about the Insta pot, because I own, 2 slow cookers and a rice cooker. Have you used the slow cook or rice cook function on your model? any thoughts? 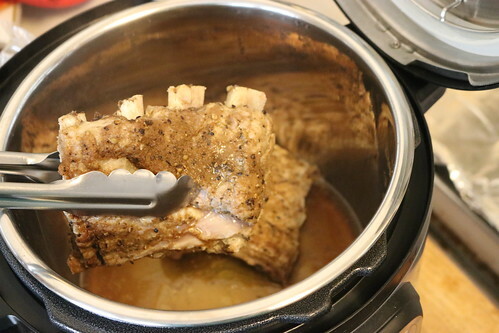 This pressure cooker looks amazing! I started using one last winter when I was living in India and have been thinking of getting one here. I love this one. Hope you are doing well. Say hi to Judy, Rocky and everyone for me!